The Central Texas Conference Communications & IT team has announced several improvements to the conference’s official website. Many of the site’s pages have been refreshed and/or redesigned and navigation improvements have been made throughout. This is the first of many updates to ctcumc.org planned for the coming weeks and months designed to make it easier for site visitors to find the information and content they need. Look for improved search functionalities soon. 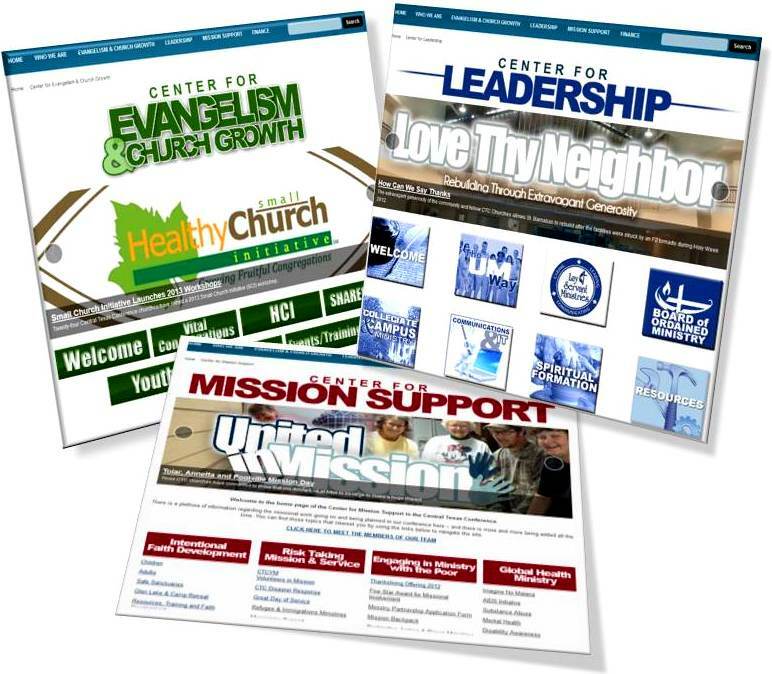 While the content and taxonomy (how ctcumc.org is organized) have been reorganized and streamlined site-wide, the changes are most readily evident on the new landing pages for the Centers of Evangelism & Church Growth, Leadership and Mission Support. Not only will you quickly notice the new navigation but there is also an exponentially increased emphasis on the narratives coming from the ministries supported by each center. Each Center now has a landing page featuring a carousel highlighting the narratives of that center and other information/content that the center wishes to promote and/or feature. Theses narratives and features will be refreshed regularly, so check back often to make sure you don’t miss any of the stories of transformation happening across the CTC. The refreshed landing pages also feature updated navigation buttons to help you more effectively find your way through all the content that lives within ctcumc.org and locate the information, forms, etc. that you need. Please check out the site, especially the new center pages, and share your thoughts on the changes with the CTC Communications & IT team at CommIT@ctcumc.org.